6" Ice cream cup glass with a new face. 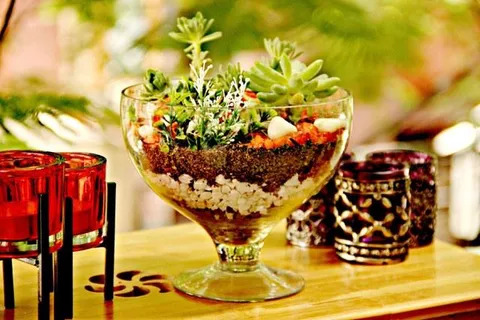 Succulent terrariums are one of the popular plant trends around. They make great displays offering wonderful array of colors and textures. Plus, they're easy to grow indoors and out! Note: Image is for illustration purpose only. 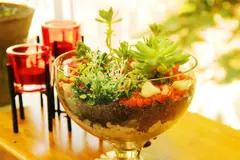 Actual product may vary from the above photo, due to the seasonality of succulents and raw materials. 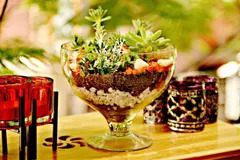 Hey Team, You have a very nice product range of terrariums, really impressed!! !Congrats!